An early fascination with immunology has led to an already highly-awarded career with a focus on identifying and treating allergies. Dr Adam Collison’s research explores why some people develop allergies, while others, who are exposed to the same triggers don’t. His work is focussed on the exposures that occur in the first years of life, including in-utero. “I’m interested in why and how we become allergic - and if that can be prevented,” Adam explains. Since being awarded his PhD from UON in 2012, Adam has received multiple awards for his research, including the University of Newcastle Priority Research Centre for Asthma and Respiratory Disease early career award. With an intense focus on allergic responses, Adam has honed his research focus to explore three specific areas of immunology. “In particular, I’m looking at asthma, food allergy and a rarer disease; Eoinophilic Oesophagitis, which is an inflamed foodpipe,” Adam says. As his background is in immunology, Adam’s research also hones in on the interaction between the immune system and environmental bacteria and viruses in the lung and in the gut and the interplay between the two. “One of the roles of the immune system is to watch out for potential infections; the different components that are unique to bacteria and virus are constantly being watched for. The number and type of these signals is then interpreted by the immune system and it chooses which white blood cells and antibacterial / antiviral compounds to release in response. These responses also often involve significant collateral damage to the host,” Adam explains. Another focus is the difference species of bacteria in the gut which digest different foods in different ways “Much of the by-products of these processes are absorbed by the host as nutrients which have been shown to have implications in a broad range of health issues from asthma to depression to obesity,” Adam says. “Throughout High School I did reading in that kind of space and immunology particularly intrigued me. What I liked about the field that it was one of the least well-understood areas of health: we’re only really beginning to understand it. So when you combine that with the ability to really make a difference in people’s lives that made the decision simple,” Adam says. 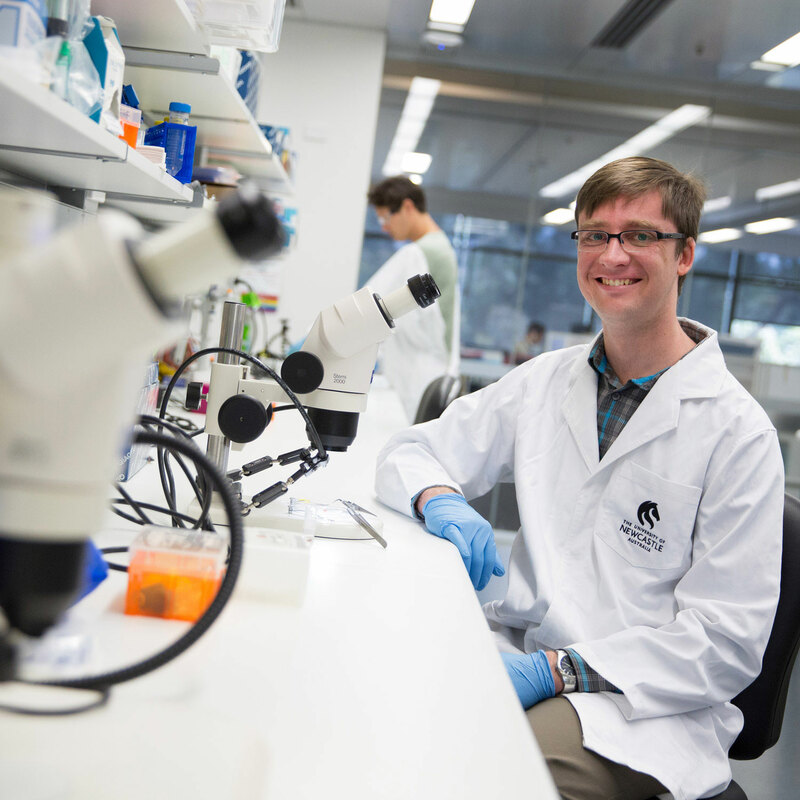 Adam studied biomedical science at UON, then honours and a PhD in the same group he’s working with at HMRI now. “While I was doing my undergrad there were a few researchers who moved to Newcastle and it became one of the best places in Australia to do asthma research. We have a vibrant asthma research community here with great opportunities to do immunology research and that’s why I’ve hung around. Good opportunities, good mentoring and it’s a good spot to live too,” Adam says with a smile. Food allergy impacts one in 20 children and around two in 100 adults in Australia. While many allergies are mild, some can be severe and life-threatening. Currently, for clinicians to diagnose allergy people will undergo a skinprick test which can confirm or exclude allergic triggers. 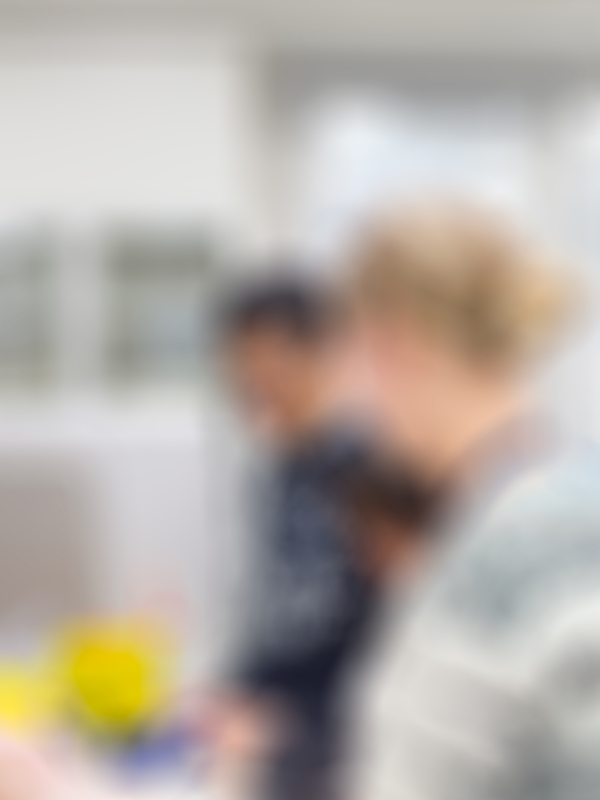 However, there are a range of people who aren’t necessarily allergic, but are sensitised to an allergen – and current tests can’t reveal the severity of an allergy. 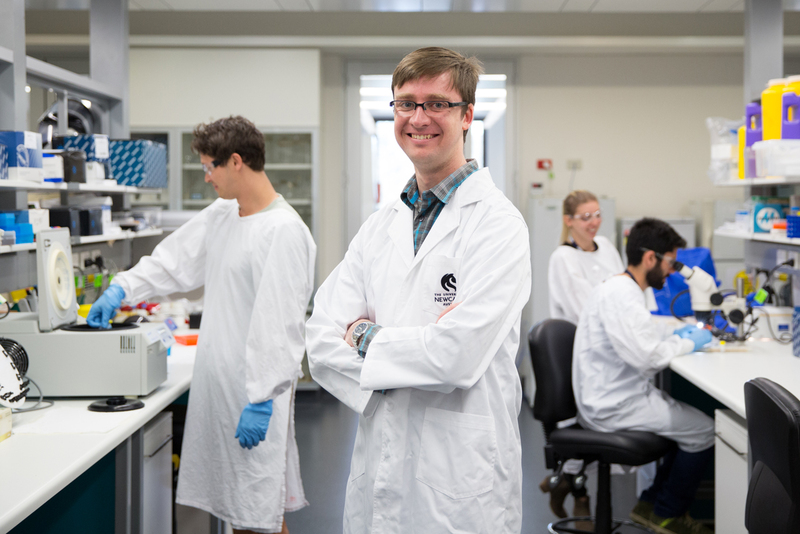 Adam and his team are currently developing a blood test to better diagnose food allergies. “We’ve found a blood test that can not only tell us who’s allergic and who’s not allergic, but it’s the first test that can show who will have a severe anaphylactic reaction, and who will have a milder allergic reaction as well. We’ve proved it in our first population of study and we’re currently working on proving it in our second population,” Adam notes. This was the first time these pathways had been associated with asthma. “We were able to confirm that these pathways were also dysregulated in human disease. We were then able to selectively target these downstream signalling pathways and demonstrate we were able to protect from asthma in the mouse models,” Adam explains. Adam grew up in a country town, with very few researchers to inspire him, so he’s determined to encourage a new generation to think big. “Even though we live in Newcastle which has a large scientific community – many people around here that I meet socially are oblivious the research that’s being done. I think people should know what we’re doing here – because what we do, we do very well,” Adam says. Grabbing the attention of students when they’re young, curious and interested is the aim of science outreach, and something that Adam is keen on. “I’m particularly interested in trying to communicate that to high school students and younger. When I was an undergrad I had the opportunity to work in the SMART program where you go around and talk to kids in Primary School in a fun way to create and foster that interest,” Adam enthuses. Adam is also an early career researcher within the Priority Research Centre Grow Up Well. “All of my work really fits under this banner,” Adam explains of the PRC which Is focussed on improving child health and generating measurable health impacts for communities. “One of my roles in this PRC is community engagement, so I have coordinated a community forum for National Science Week including lab tours, seminars and a forum where a panel answered questions from the community. This is just the start of our community engagement - we intend to run similar sessions quarterly,” explains Adam. “The PRC also provides an excellent opportunity for me to collaborate with researchers who have complimentary interests and work with clinicians to target unmet clinical needs for kids here in Newcastle that are also translatable more broadly to Australia and the world,” Adam adds. “As researchers we’re very privileged to have the opportunity to pursue these things, with public support and government funding. So with that privilege comes the desire to do things to help as many people as possible,” Adam concludes. Dr Adam Collison’s research explores why some people develop allergies, while others, who are exposed to the same triggers don’t. To be a healthy adult, you need to grow up well in early life. Most chronic diseases that influence adult quality of life and life expectancy begin in childhood, thus, prevention and early intervention are key to reducing their impact. Allergy is the fastest growing chronic disease in Australia affecting around 4.1 million people. While asthma has been recognised as a national health priority since 1999, there is increasing interest in food allergy, with as many as one in ten Australian infants testing positive to a food allergy. Alarmingly, the rate of hospital admissions for anaphylaxis has increased fourfold over the past 25 years. Food allergy associated diseases such as Eosinophilic Oesophagitis (a chronic condition of an inflamed food pipe) have also been increasing over the past two decades. My vision is to undertake cutting-edge research in close collaboration with other world-leading scientists and medical doctors, to develop better diagnostics and treatments for these common and debilitating diseases. We need to address the urgent need to better understand the development of asthma and allergy in early life, so as to deliver lifelong better health outcomes to the growing number of Australians impacted by these chronic diseases. My research has focused upon identification of novel therapeutic targets and molecular biomarkers to assist in better identification and treatment of asthma and food allergy in order to address currently unmet clinical needs. I have identified a novel proinflammatory signalling pathway downstream of tumour necrosis factor apoptosis inducing ligand (TRAIL) that is dysregulated in human asthmatics and eosinophilc oesophagitis patients. I have effectively targeted this pathway to therapeutic benefit in mouse models of rhinovirus induced allergic airways exacerbation – the current cause of over 80% of childhood asthma attacks presenting to hospital. This patent was licensed to Israeli based drug development company Proteologics in 2013. I have a particular interest in the epigenetic regulation of asthma, and have modulated miRNA to therapeutic benefit in vivo using mouse models of allergic airways disease. I have identified and patented a novel biomarker that in early studies enables stratification of peanut allergy severity, and allows accurate prediction of anaphylaxis risk upon subsequent food challenge. This is the first test in the world to measure food allergy severity and has the potential to radically modify the management of peanut allergy. Congratulations to UON's, Dr Tracy Burrows, Dr Adam Collison and Dr Susan Hua.